Hi everyone! 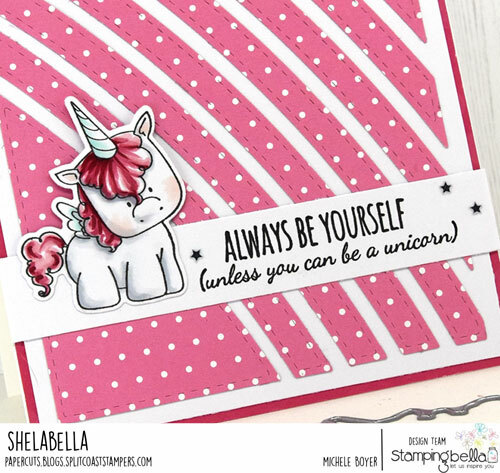 It’s the first Friday of the month which means it’s time to share samples using Stamping Bella‘s Stamp of the Month. Actually, this time there are three, all of which coordinate nicely – Set of Unicorns, Unicorn Add-ons and Unicorn Sentiments. All sets, including their corresponding dies, are on sale for 25% off through September 30. 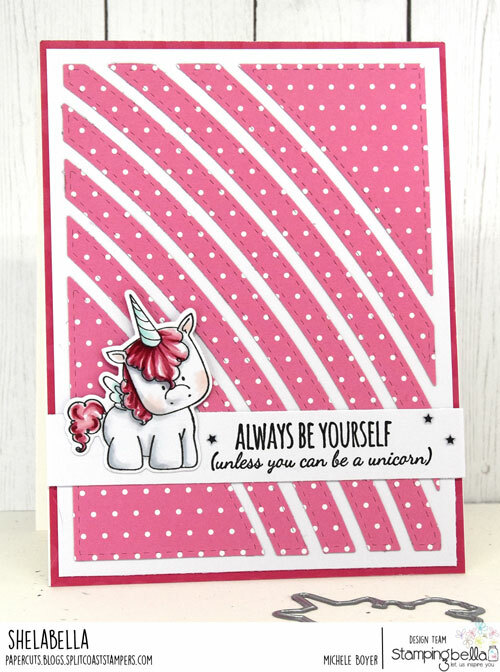 I used Unicorn Sentiments which includes six sentiments and one unicorn image, as well as an accessory image of stars. I first used a Rainbow Cutting Plate to die-cut pink Delightful Dots patterned paper from Queen & Company. Using the outline as a guide, I adhered the stripes and blocks then removed the outline. I colored the unicorn with a handful of Copic markers (noted above) then added a few tiny star sequins near the sentiment. This entry was posted in Clean and Simple (CAS), My Designs, Stamping Bella. Bookmark the permalink. What an amazing card! First time I’ve heard of a rainbow cutting plate! How cool is that! love the pink polka dot background too! 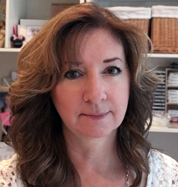 Keep up the great work and thanks for sharing! That pink unicorn is so stinkin’ cute … adorable card.